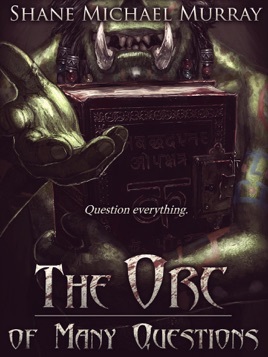 "By turns hilarious and tragic, thought-provoking and provocatively infuriating, Orc of Many Questions is imaginative fiction at its finest: that which constructs a fantastic world to serve as metaphor for our own, but which allows this world the space to breathe freely, and to achieve its own truths and conclusions." 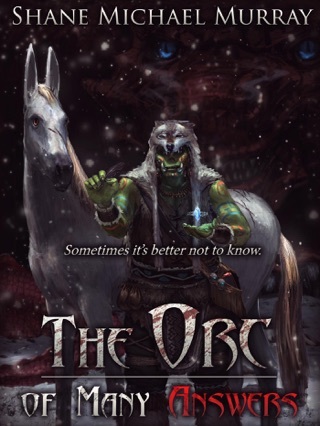 "Well this guy writes about Orc's as though he's lived with them all his life. A really fun read. Perfect for younger adults looking for something different!" Orcs don’t like questions. Everybody with a brain knows that. Orc tribes save their strength for fighting, not thinking. They survive by raiding the lands of weaker races, repeating it year after year to offer tribute to the masters of their mountain home. Life on Firebrand Peak is short and nasty. Death comes quickly and the fallen are soon forgotten. Generations pass, yet the tribe remains brutally the same. Until one little orc starts asking too many questions.